I just received this e-mail from two different sources. 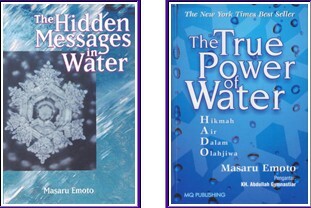 Dr Masuro Emoto is the scientist whose work with the effects of word, thoughts and prayer on water became well known in the movie “ What the Bleep” a few years ago. I have seen him at two presentations, one of which was at the UN, and I have found him to be an incredibly joyful expanded human being. Here is the text of one of the messages I just received. tsunamis, more than 10,000 people are still missing.even now. ocean, air and water molecule of surrounding areas. in the reactors by discharging water to them. 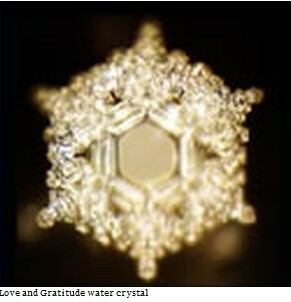 vibration of human prayer no matter how far away it is. Energy = number of people and the square of people’s consciousness. sorry to make you suffer. Please forgive us. Thank you Minh and Jo for sending this along to me. You are welcome Dear Kim!